Levenkron oversees an ever-growing and evolving team of professionals responsible for Addison Group’s network services, infrastructure, and security as well as its end-user support and application management. 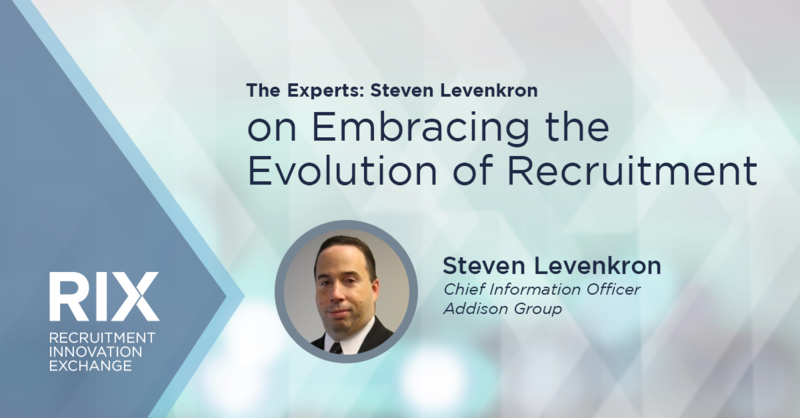 In this clip, Steven Levenkron, Chief Information Officer at Addison Group, discusses the evolution taking place in the recruitment industry and how firms must navigate it. Over the past 10 years, what are some of the biggest changes you’ve seen recruitment firms embrace? 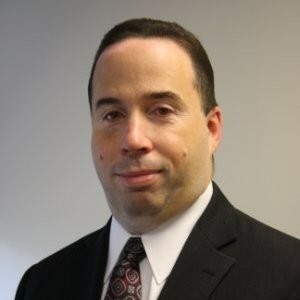 Steven Levenkron: You know what’s interesting? The more technology they’re introducing, it seems they’re now realizing technology won’t fix everything and they’re really focusing back again on the people at the right time, it’s a candidate-driven market. I think there was a time, especially in the 2000s, the early 2000s, where we automated everything with technology and thought we could replace the people. I think what they’re seeing now is no, they’re tools to enable the people, not replace them. It just seems like everyone came to the realization at once. What big trend are you currently seeing in the industry? Steven Levenkron: Artificial intelligence. How do you leverage that technology without disenfranchising your recruiters? How do you let them adopt it without feeling threatened? Explain to them, “Yes, while this will take some tasks that you do and automate them, it really means you can focus on other tasks.” And I think it’s interesting, the recruiters, they’ll complain about the technology, “Oh, it’s not fast enough, etc.” Yet, they’re threatened by it. It’s really cutting through that and letting them know it’s a collaborative effort between people and technology, and where artificial intelligence is going to go to really help that. I just think it’s fascinating what’s coming out. What role does the recruitment industry play in reskilling the workforce? Steven Levenkron: I think we’re the first to identify what those new skills are going to be. Before Addison, I came from a public company and it was interesting. When we were doing our earnings announcements, we would have lots of analysts on the calls and they weren’t really interested, even if they were a public company or worried about our earnings. No, they were trying to understand what’s happening in the workforce as a total. What are the in-demand skills? We identify them. We know, and we should actually start leading the educational signals saying, “Hey, we’re seeing what you might be thinking of, get training in this, or [deliver it] to the workforce.” Signaling, “If you’re looking at a career here, that’s great. But here’s really where the opportunities are.” And we’ll see them before anyone because we actually don’t have a single company perspective. We’re seeing the needs from multiple companies simultaneously, and we can sort through that and really start driving as people are looking to upscale or redefine their talents, really giving them the direction for what are the hot talents coming in the future.